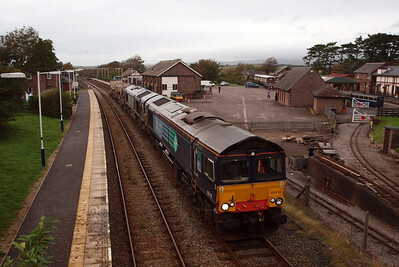 19/09/11 - 66419 & 66429, 6K73, Ravenglass. 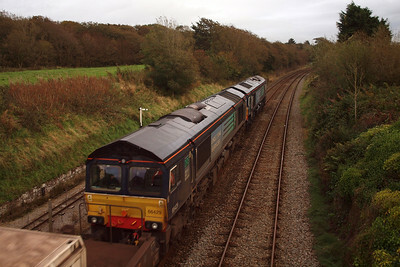 21/09/11 - 37688 & 37194, 6Z22, Nethertown. 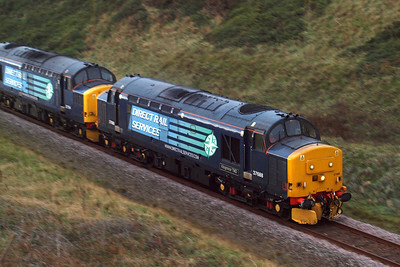 66419 and 66429 pass Ravenglass with 6K73 to Crewe. 19/09/11. 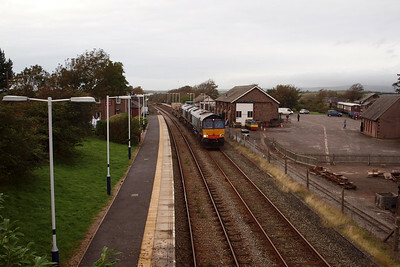 66419 and 66429 on 6K73 at Ravenglass. 19/09/11. 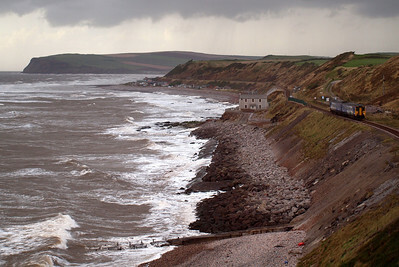 What might have been - the white horses crash against the shore at a stormy Nethertown. 21/09/11. 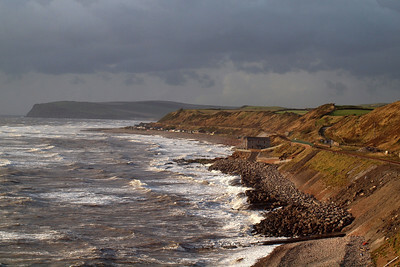 156469 makes its way south along the Cumbrian Coast at Nethertown. 21/09/11. 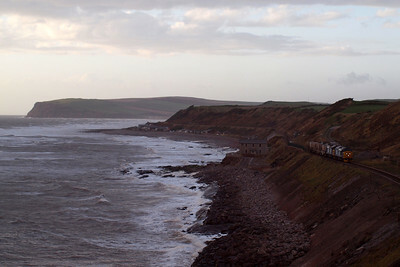 6Z22 rounds the headland at Coulderton with St Bees Head in the background. 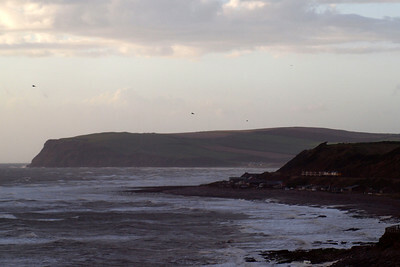 21/09/11. 37688 Kingmoor TMD and 37194 pass Nethertown station with 6Z22 Kingmoor - Sellafield. 21/09/11. 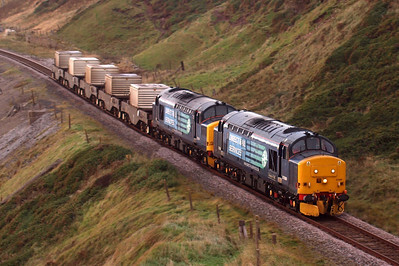 37688 and 37194 with load 5 on 6Z22. 21/09/11. 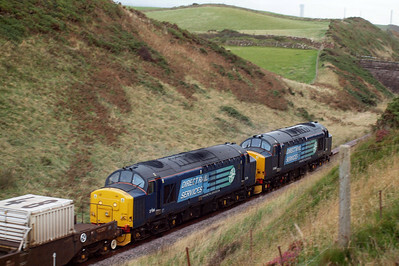 37688 and 37194 passing Nethertown, bound for Sellafield. 21/09/11. 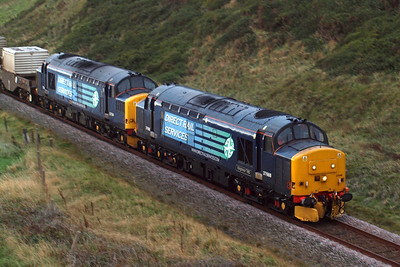 37688 and 37194 at Nethertown. 21/09/11. 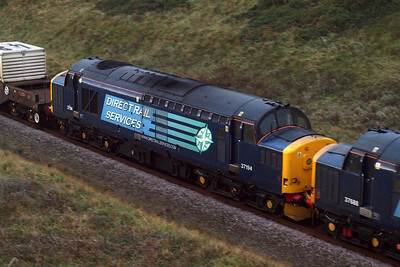 37688 Kingmoor TMD - at speed - passes the camera at Nethertown, heading 37194 and 6Z22 Kingmoor - Sellafield. 21/09/11. 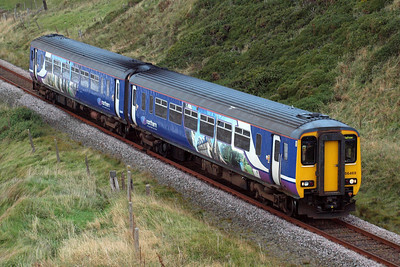 37194, train loco for 6Z22. 21/09/11. 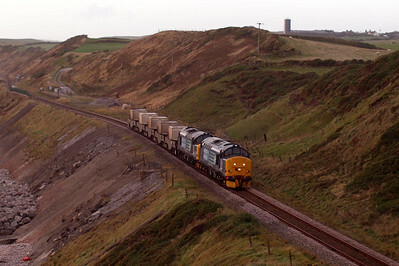 37194 and 37688 at Nethertown, with Sellafield, their destination, beyond. 21/09/11.